Image from the Walking Horse National Celebration. Image courtesy of Columbia Magazine. 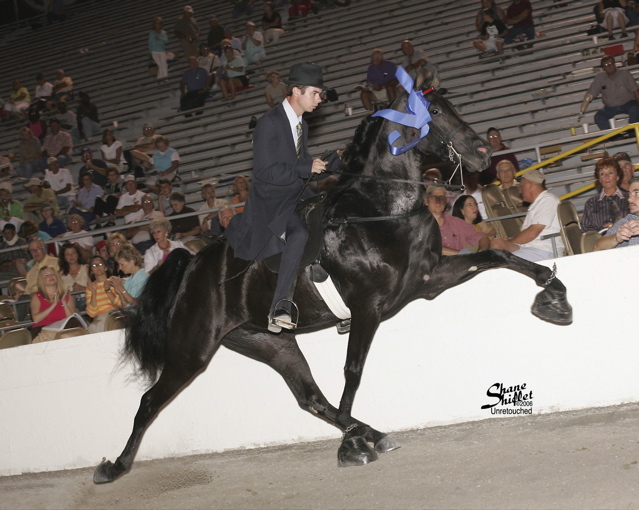 The Walking Horse National Celebration has had a long rich history of glam and glitz, and its horses have long been prized for ‘man-made’ gaits which are judged on exaggeration: the more articulated gait, the higher the score. To non-equestrians, this in itself may seem inherently abusive, but it is important to remember that some of that movement is naturally attributed to the breed. The Humane Society video, which has been on YouTube since May, was not the first horse abuse video to be posted by Humane Society: a nearly identical video detailing the same cruelty at the exact same horse show was posted by Humane Society in 2009. In 2010, Pepsi did not pull its sponsorship even though the 2009 video showed near-identical cases of soring. The only major difference was that no images of horses being hit on the head were shown. So what took Pepsi so long to react? Do we need news stations like ABC to actually get important messages like these across? Sound off in the comments below!